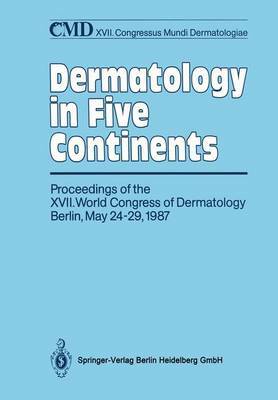 The World Congress of Dermatology (Congressus Mundi Dermatologiae, CMD) is held every 5 years. The purpose of this meeting is to review and summarize the present status of scientific knowledge in clinical dermatology and to in related basic research, to discuss recent results and ideas among colleagues and to contribute to the develop- ment of new clinical and scientific research programmes for the future. It is evident that the Proceedings of such a meeting, where major dermatological work from five continents is presented, should be reviewed carefully and published as soon as possi- ble. This volume includes the reports of several hundreds of speakers from all over the world as presented during the congress or delivered 6 weeks later. The moving forces behind all this were the International League of Dermatology (ILDS) with its presi- dent, Jean Civatte, its general secretary, Nils Thyresson, the members of the Executive Committee (ICD) and the German Organizing Committee with its subcommittee for the scientific programme. In addition, the chairmen of sessions, coordinators, speakers and discussants all contributed to make the 17th CMD in Berlin a full suc- cess.